Developing a good relationship with clients and being available to talk through any concerns they may have about the market is an important part of Courtney Mandel’s role as wealth adviser. 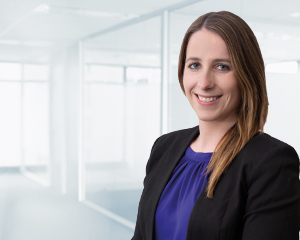 As a member of the Melbourne Family Wealth Management team, Courtney tailors the views and recommendations from the Investment Committee to suit clients’ individual situation, goals and risk profile. “It’s important for me to get to know my clients at meetings and seminars and establish a close relationship,” Courtney said. “I enjoy the interaction and make sure I listen and understand what my clients are saying, as well as talk through any issues that concern them, giving them background and helping them see the big picture. According to Courtney, Dixon Advisory clients benefit from the experience and knowledge of the Investment Committee, which provides a consistent approach to investment advice across the firm. Originally from New York, she is particularly interested in the US Masters Residential Property Fund, which has proved to be a unique and positive opportunity for clients. Courtney fell in love with Melbourne while completing a semester of her degree at Melbourne University. Previously, she worked with Bloomberg L.P. in the US on trading systems, data and client calls. Courtney has a Bachelor of Arts (Economics) from Occidental College, Los Angeles, and a Graduate Diploma of Applied Finance from Kaplan. She is accredited by the Stockbrokers Association of Australia to provide investment advice.